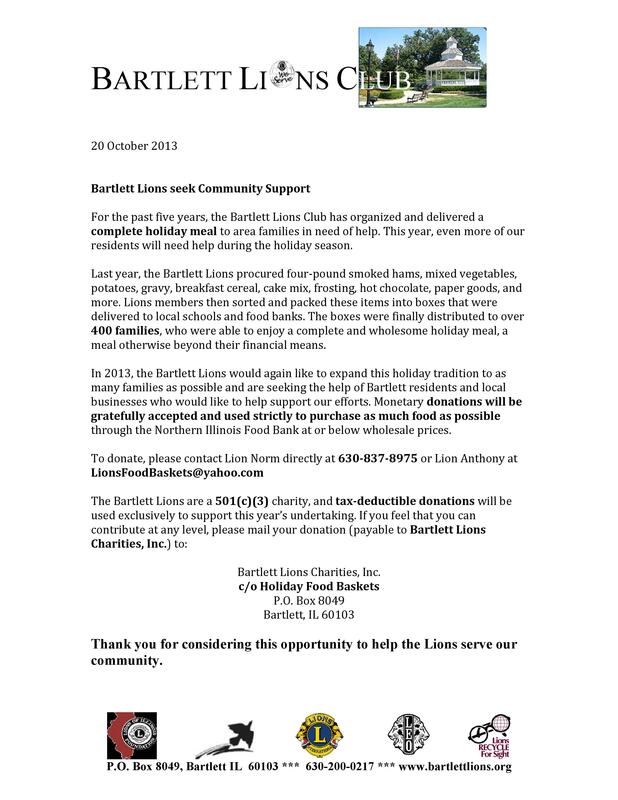 Each year, the Bartlett Lions Club packs over 400 boxes of food and other items to be distributed to needy families right in the area. We need your help. 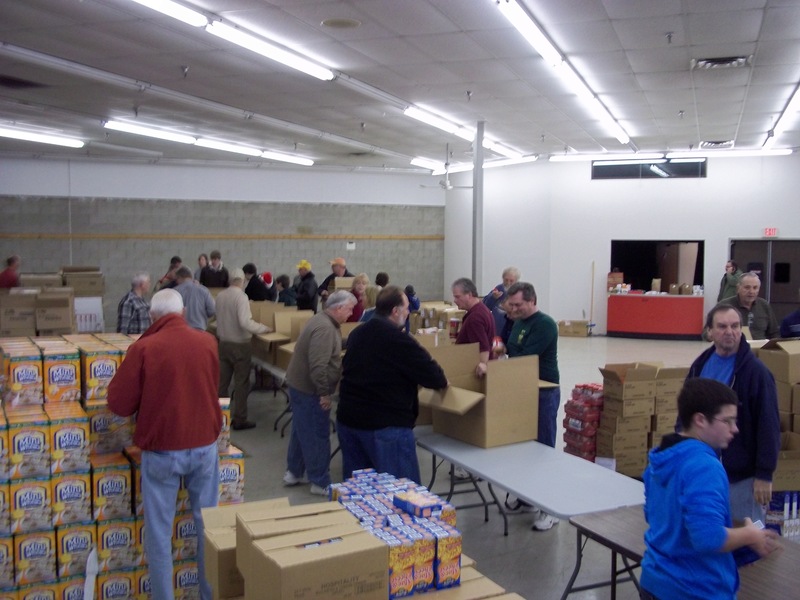 With the new state of the economy and continuing tightening of budgets by businesses, sponsorship for these food boxes is becoming harder each year. Can you or your company make a donation?